LankaBangla Finance Ltd’s Management Team is a group of experts with years of market leadership, experience and knowledge. Mr.Khwaja Shahriar joined LankaBangla Finance as Managing Director on May 21, 2017. Prior to that he was the Deputy Managing Director and Head of Business of LankaBangla Finance since June 2012. Before joining LankaBangla Mr. Shahriar worked in various Banks and Financial Institutions for almost two decades. He served BRAC Bank Limited for almost a decade in different positions and capacity including Head of Corporate Banking, Head of Cash Management and Head of Probashi Banking. He also served in various positions in both GSP Finance Company Limited and Bangladesh Finance & Investment Company Limited. Mr. Shahriar also worked for Uttara Bank Limited, AB Bank Limited and Green Delta Insurance Company. A. K. M. Kamruzzaman, FCMA, is working as the Senior Executive Vice President & Head of Operations, with the responsibility of Asset Operations, Collection & Monitoring, Special Asset Management (SAM), Liability Operations, Treasury Operations, Asset Accounts Maintenance, Closing & Clearance and MIS & Regulatory Reporting. 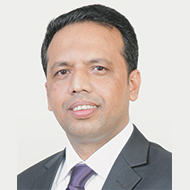 During his long fifteen and half years’ tenure with LankaBangla, he has got the rare opportunity to work in almost all the functional areas of the company in different capacities as Head of Business, Head of Credit & Investment, Head of Credit Administration, Head of Accounts, Company Secretary and Head of Administration. He is a nominated Director in the Board of LankaBangla Asset Management Company Limited. Mr. Kamruzzaman is a post graduate in Accounting from the University of Dhaka; he is also an MBA from the Institute of Business Administration (IBA) of the University of Dhaka and a Fellow Member (FCMA) of the Institute of Cost & Management Accountants of Bangladesh (ICMAB). Currently he is the Chairman of Dhaka Branch Council (DBC) of ICMAB. 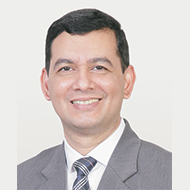 Khurshed Alam, Senior Executive Vice President, joined the Vanik Bangladesh Limited in July 1998. He is currently looking after the Personal Financial Services Division. As a long term serving employee, he worked in various departments of the Company including Finance, Administration, HR, Portfolio Management, Credit Card, Home Loan, SME Finance, Auto Loan, Personal Loan and Secured Loan. Mr. Khurshed started his career in 1992 as a Probationary Officer-Finance & Accounts in Rupali General Insurance Company Limited. He obtained his Honors and Masters in Management from the University of Dhaka. He also got his Post Graduate Diploma in Personnel Management (PGDPM) from Bangladesh Institute of Management (BIM). He has attended a good number of training in home and abroad. 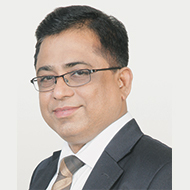 Quamrul Islam, Senior Executive Vice President joined erstwhile Vanik Bangladesh Limited on October 7, 1997 which was later renamed as LankaBangla Finance Limited. During his tenure of office he held different positions and looked after the functions of Finance and Treasury. Currently he is discharging the responsibility as Head of Treasury & Financial Institutions. Mr. Islam obtained his graduation with Honors and post-graduation in Accounting from the Faculty of Business Studies of Dhaka University. He started his career with “PRAN Group” one of the largest conglomerates of the country as a Management Trainee Officer in early 1997. 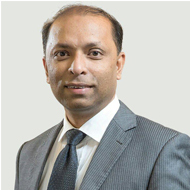 Mohammed Kamrul Hasan, Executive Vice President and Chief Risk Officer heads the Risk Management Division which is responsible for managing the Enterprise Risk at LankaBangla and its subsidiaries. Mr. Hasan was appointed as Vice President in February 2007. He possesses extensive experience in Accounting, Auditing and Finance. 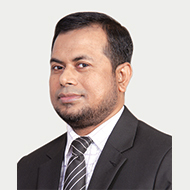 Mr. Hasan holds Bachelor Degree in Accounting from the National University of Bangladesh. He is a Fellow member of the Institute of Chartered Accountants of Bangladesh (ICAB). Mostafa Kamal, Executive Vice President, joined LankaBangla in February 2009. Currently, he is working as the Group Company Secretary of LankaBangla Finance Limited and its subsidiaries. He also worked in the company as Head of HR and Administration. Mr. Kamal completed his B.Com. (Hons.) and M.Com. in Accounting from University of Dhaka. He is a Fellow member of the Institute of Chartered Accountants of Bangladesh (ICAB). Prior to joining in LankaBangla he was the Head of ICC of IPDC of Bangladesh Limited and also served Rahman Rahman Huq, Chartered Accountants, (Member Firm of KPMG International) as Manager, Audit and Advisory Services from September 2003 to June 2006. Mr. Kamal held the position of the Chairman of Dhaka Regional Committee ICAB for the year 2010-2011. He has been elected Council Member of ICAB for the term 2016- 2018. Currently, he is the Vice President (Education and Training) of ICAB. Mr. Kamal played a very vital role in opening Dhaka Chapter of Information System Audit and Control Association (ISACA) of USA. He is the Founder Director, Communication and Ex-Director, Academic Relations of ISACA Dhaka Chapter. Mr. Kamal is also a Founder Member and the General Secretary of Vision Care Foundation (a non- profit organization). 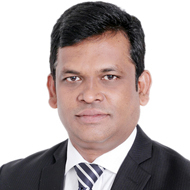 He is the Executive Director and a member of Policy Advisory Committee of Bashundhara Eye Hospital and Research Institute, a non-profit and most modern Eye Hospital in Bangladesh. Kazi Masum Rashed, is entrusted with the role of Head of Branch Distribution & Management Division since April 2018. He joined LankaBangla in 2011 as Chief Credit Officer and served long seven years as CCO of LankaBangla Finance. Altogether he possess more than 17 years of experience in Banking Industry. Mr. Masum obtained his M.Com from Finance and Banking Department and MBA from the Institute of Business Administration (IBA) of the University of Dhaka. He has attended a number of trainings, seminars and workshops both in home and abroad. Mohammad Shoaib, Executive Vice President, joined LankaBangla Finance as Assistant Vice President in May 2007. He is currently working as the Head of Corporate Financial Services Division looking after the Corporate Asset Portfolio. Mr. Shoaib has over 12 years of financial services experience and held various senior management positions in credit & investment, corporate finance, retail finance, SME finance and credit administration. Prior to joining LankaBangla, he was Branch In-charge, Chattogram Branch of Prime Finance & Investment Limited. He is a Bachelor in Business Administration with Honors in Accounting and a Masters in Business Administration in Accounting & Information Systems from the University of Dhaka. 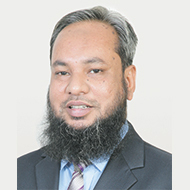 Shamim Al Mamun, FCA is working as Chief Financial Officer since April 2013. Before getting this responsibility he acted as Head of Accounts from April 2012. Before joining this Company, he was the CFO of Fareast Stocks & Bonds Limited and Fareast Finance Limited. He is a Fellow member of the Institute of Chartered Accountants of Bangladesh. He obtained his Honors degree in Information Technology from American International University of Bangladesh. He is also an ex-cadet and completed his secondary education from Sylhet Cadet College. 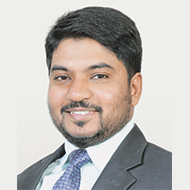 Shamim Al Mamun, FCA possesses extensive competencies and experiences in Financial Reporting, Financial Modeling, Internal Control, Corporate Governance and Financial Management. He is also a resource person of ICAB in the capacity of providing training to students and in the process of educational development. Md. Kamruzzaman Khan, Senior Vice President joined LankaBangla Finance Limited as a Head of SME in December 2013. He is currently working as the Head of SME Financial Services Division. Mr. Khan has over 13 years of Banking and Financial Services experience. Prior to joining LankaBangla Finance Limited, he served in BRAC Bank Limited under SME Division indifferent positions including Manager, Senior Manager. Mr. Kamruzzaman has obtained M.Com in Accounting and also attained MBA from State University of Bangladesh with Major in Finance & Banking. He attended a good number of trainings, seminars and workshops both in home and abroad. 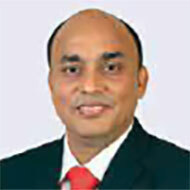 Mohammad Faruk Ahmed Bhuya, Senior Vice President joined LankaBangla Finance Limited on April 01, 2013. He is currently working as Head of Asset operations and responsible to take care of Loan Documentation, Disbursement, Credit Card Operation, filling, scanning and vaulting of documents, Post Dated Cheques (PDC) & Un-dated Cheque (UDC) management. Prior to this, he was working as manager at BASIC Bank limited in different Branches and divisions at Head Office from June 2000 to March 31, 2013. 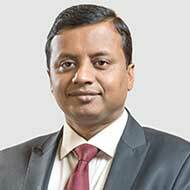 He started his banking career in 1999 with Prime Bank limited as Management Trainee Officer (MTO). Mr. Bhuya is a post graduate in Management from the University of Dhaka. He brings with him 17 years of long and diversified banking experience in Credit, Trade Finance and General Banking. Mr. Bhuya attended a number of professional Training, workshops and seminars at home and abroad. He is Diploma Associate of the Institute of Bankers, Bangladesh (DAIBB). Mr. Bhuya is a widely travelled person. 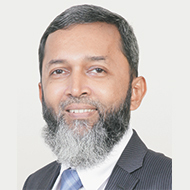 Sheik Mohammad Fuad, Senior Vice President, joined LankaBangla Finance Limited in 1999 and has been serving current role as Head of Information and Communication Technology (ICT) Division since November 2011. He is responsible for enabling various business requirements through the development and implementation of Information Technology features. Mr. Fuad obtained Bachelor of Science degree from National University of Bangladesh. He has attained professional certifications such as CDCP, COBIT®5, PRINCE2® and ITIL. 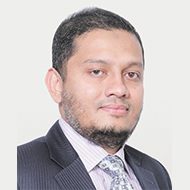 Mr. Mohammad Hafiz Al Ahad, Head of Human Resource & Senior Vice President, joined LankaBangla Finance Limited on April 16, 2019. He is responsible to take care of human resources and overall strategic directions that will help LankaBangla to anticipate the change initiatives and promote people productivity, organizational efficiency and cost effectiveness. Prior to this, Mr. Ahad worked as the Head of Human Resources at Rahimafrooz Superstores Limited. He was the Chief People Officer (CPO) in Unique Group. He also served as Head of Human Resource for IBPL (SBU of The Coca-Cola Company) and Philip Morris International, Bangladesh and Pakistan. He started his career with the American Express Bank in HR Department back in June 2000. He also worked in Nokia India Private Limited and in SABINCO. He has more than 16 years of diversified professional experiences with international exposure in the field of HR. Mr. Ahad completed his Masters of Business Administration (MBA) from Oxford Brookes University Business School, Oxford, UK. He also completed his MA and BA (Honours) from the University of Dhaka, Bangladesh. Ummay Habiba Sharmin, working as Head of Legal Affairs Division of LankaBangla Finance Limited is entrusted with the responsibility to oversee the legal issues of the Company. 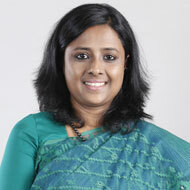 She joined LankaBangla in the year 2009 as Head of Legal and Documentation. Prior to joining LankaBangla, she worked as an advocate at a renowned corporate law firm namely LEE, KHAN AND PARTNERS. As a practicing lawyer, she worked with numerous local and multinational banks, NBFIS, corporate bodies of the country regarding acquisition, due diligence, loan and security transactions, lease transactions, trust- agency transactions, commercial issues, labour law issues, litigation etc. and was involved in plentiful large project financing of various modalities. Ms. Habiba is a post-graduate in law from University of Chattogram and is an enrolled advocate at the Supreme Court of Bangladesh with around 12 years of experience in the legal profession. Muhammad Habib Haider, Head of GIS, is responsible for General & Infrastructure Services Division of LankaBangla Finance Limited. He has joined LankaBangla Finance in February 2015. Prior to joining LankaBangla Finance Limited, he served in BRAC Bank Limited under GIS Division in different roles. He has over 10 years’ experiences in Banking and Financial Institution sector with exposer in supply chain, logistics, and projects. He obtained his Honors degree from University of Dhaka and MBA from Southeast University. He has attended a number of trainings and workshops both in home and abroad. LankaBangla Finance Ltd’s Management Team is a group of experts with years of market leadership, experience and knowledge..
Khwaja Shahriar, joined LankaBangla Finance as Managing Director on May 21, 2017. Prior to that he was the Deputy Managing Director and Head of Business of LankaBangla Finance since June 2012. Before joining LankaBangla Mr. Shahriar worked in various Banks and Financial Institutions for almost two decades. 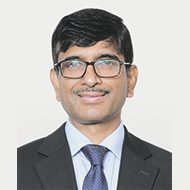 He served BRAC Bank Limited for almost a decade in different positions and capacity including Head of Corporate Banking, Head of Cash Management and Head of Probashi Banking. He also served in various positions in both GSP Finance Company Limited and Bangladesh Finance & Investment Company Limited. 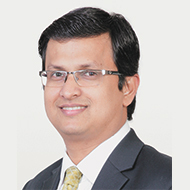 Mr. Shahriar also worked for Uttara Bank Limited, AB Bank Limited and Green Delta Insurance Company.